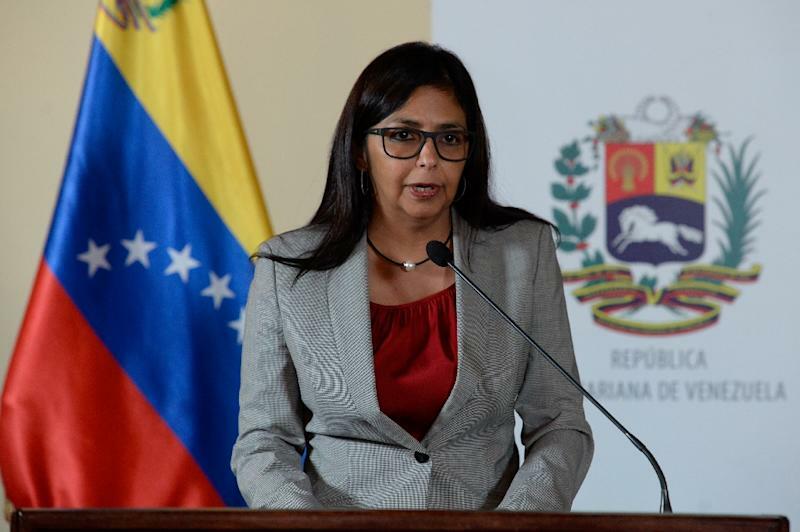 Caracas, Jul 4 (Prensa Latina) Executive Vice President of Venezuela, Delcy Rodriguez, rejected today the political stalking and criminalization, promoted by imperialist factors against the leaders of progressive movements in Latin America. The manifesto of repudiation, published through her Twitter account, stands as a show of solidarity to former President of Ecuador Rafael Correa who could be detained as a result of the request for preventive detention issued by the National Court of Justice (CNJE) of the South American country. The judicial measure, which also refers to the issuance of a red alert to the International Criminal Police Organization (Interpol), occurred before the ‘breach of the precautionary measure of periodic filing before the CNJE, despite the fact that Correa resides in Belgium,’ scheduled for Monday, July 2. The leader of the Citizen Revolution, who led Ecuador’s destinies between 2007 and 2017, is accused of being the alleged mastermind of the kidnapping of former opposition Fernando Balda in 2012. The accusation, according to Rodriguez, is an expression of the political persecution against the nationalist and leftist leaders of the Patria Grande, ‘recently Cristina Fernandez de Kirchner and Luiz Inacio Lula Da Silva, former Presidents of Argentina and Brazil, respectively, have been victims of similar maneuvers,’ she said. ‘All our solidarity is with Rafael Correa for the persecution against him. They will never be able to silence the people,’ said Rodriguez.